The Peloponnese – home of the mighty and proud city-states, the ‚poleis‘. Lead one of them through the ages, gaining fame and prosperity while weathering disaster. 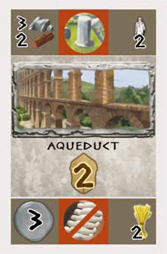 Over eight rounds you will develop your civilization by claiming new territory, constructing prestigious buildings and increasing your population. 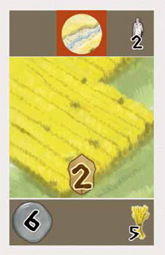 Will you manage as even a balance as possible between prestige and population? 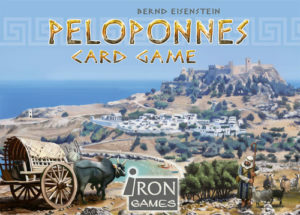 The Peloponnes Card Game is based on the Peloponnes board game and took the same bidding mechanism. A few details were simplified. The system with the catastrophes and the possibility to gain luxury goods are new so the strategic projections and the feeling of the game is new. The material is language independent. German, english and french rules are included. 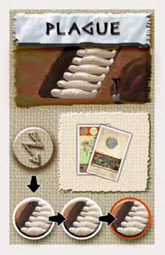 2018: The Peloponnes Card Game will be published in Portuguese by brazilian publisher Ludofy! » English rules (2,8 MB). Thanks to Patrick Korner! » French rules (2,8 MB). Merci Bénédicte Bill! » Dutch rules (2,8 MB). Thanks to Olav Fakkeldij! » Hungarian rules (4,25 MB). Thanks to Sara Holman! » Greek rules (3,9 MB). Thanks to Kostas Fanakis! » I open the box for you!